It is a set of two old houses, respectfully rehabilitated, created for leisure and rest, and located in the vicinity of the urban core. Both houses share parking, swimming pool, garden, as well as a privileged situation, in a farm of 7200 square meters fenced, with abundant vegetation and with excellent views of the mountain ranges of Moratalla. 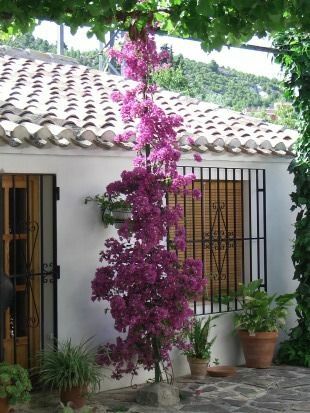 Among the numerous trees we can find from native trees and shrubs, to firs, palms, rose bushes, bougainvillea, as well as an extensive parral. In the decoration of the houses, it has been tried to maintain the proper atmosphere of the construction period, using traditional furnishings and respecting the original building to the maximum. It is for all this a cozy place, with a lot of charm and ideal to rest and enjoy nature.